Date with Mystery is the third cosy crime novel in Julia Chapman's Dales Detective series. The Dales Detective Agency's latest assignment appears to be an open and shut case. Hired by a local solicitor to find a death certificate for a young woman who died over twenty years ago, Samson O'Brien is about to find out that things in Bruncliffe are rarely that straightforward. Particularly when the solicitor insists that Delilah Metcalfe, with her wealth of local knowledge, works alongside Samson on this sensitive investigation. 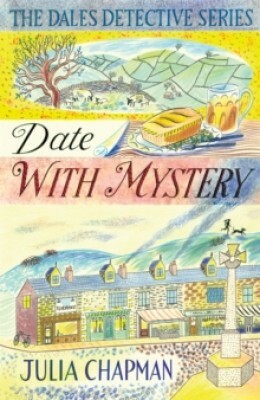 Aah I do love a dales Mystery and this is a great one! Julia’s books are a lovely holiday – a break from crime fiction and gritlit and a jaunt into the past even though the books are present day.